The social media fail occurred when a fan, who worked for the government body, forgot to sign out of their work account. 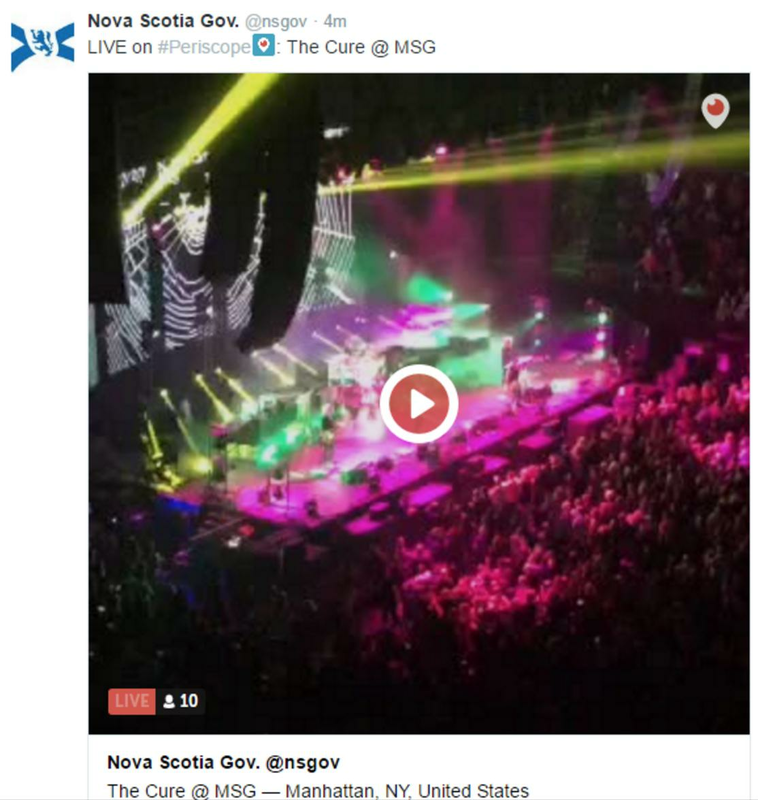 A Cure gig was accidentally livestreamed by the Nova Scotia Government's Twitter account last weekend. The Boys Don't Cry band played New York's Madison Square Garden on Saturday (18 June), when just after midnight, a Periscope of their performance appeared on the Canadian government's official Twitter feed. See a screen grab of the mistake posted by Reddit user, ResurrectedToast, along with the caption: "Someone screwed up. Good luck random social media management employee." According to CBC News, Government spokeswoman Tina Thibeau confirmed an employee attending the gig accidentally used the Nova Scotia Gov. Twitter account instead of their own. Thibeau added that the footage was up no longer than two minutes, and was promptly deleted as soon as the employee realised their mistake. Meanwhile, The Cure - who have just finished three nights at Madison Square Garden - will continue their North American dates tomorrow (22 June) at the Merriweather Post Pavilion in Columbia, Maryland.